We love helping support NICU parents by offering bulk discounts to anyone interested in buying 10 or more items. 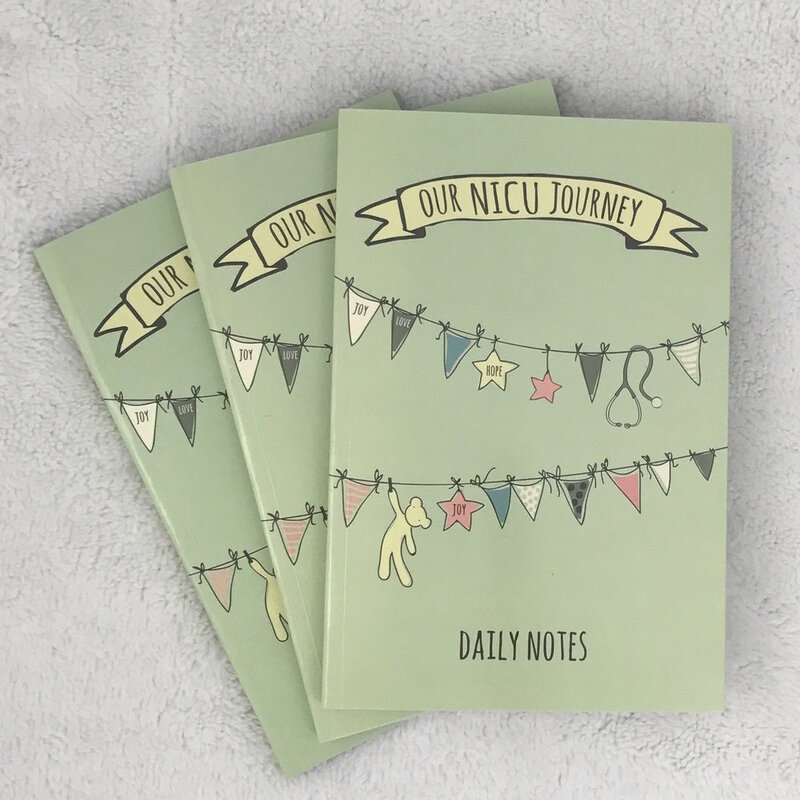 Our NICU journals, NICU milestone cards, NICU Crib Art and NICU Family Posters all make incredible gifts, sure to make parents feel loved & appreciated. Interested in ordering for your nicu? Thanks so much - Trish will be in touch shortly! You want to provide your NICU families with the very best experience possible, and we’re thrilled to help you! NICU parents rely heavily on their hospital staff to provide them with the tools they need during this difficult time, and our NICU-specific products are created to meet those needs. We work closely with hospitals to get the right products in your NICU to meet the goals you have for parent & staff satisfaction. So whether you have a 10 bed NICU or a 150 bed NICU, whether you want to purchase 10 or 10,000 items, we're here to help. So don't be shy - let us know what you interested in and we’ll work together to make it happen.